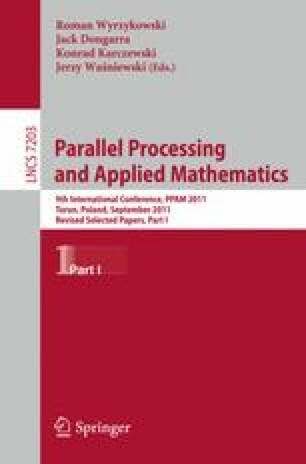 In this paper we present an application of parallel simulated annealing method to a segmentation algorithm using polygonal Markov fields. After a brief presentation of the algorithm and a general scheme of parallelization methods using simulated annealing technique, there is presented parallel approach to the segmentation algorithm with different synchronization scenarios. Authors also present results of the parallelization of the segmentation algorithm. There is discussed comparison between simulations with different synchronization scenarios applied to the multiple-trial approach of simulated annealing technique. Some simulations based on the number of threads are presented as well.